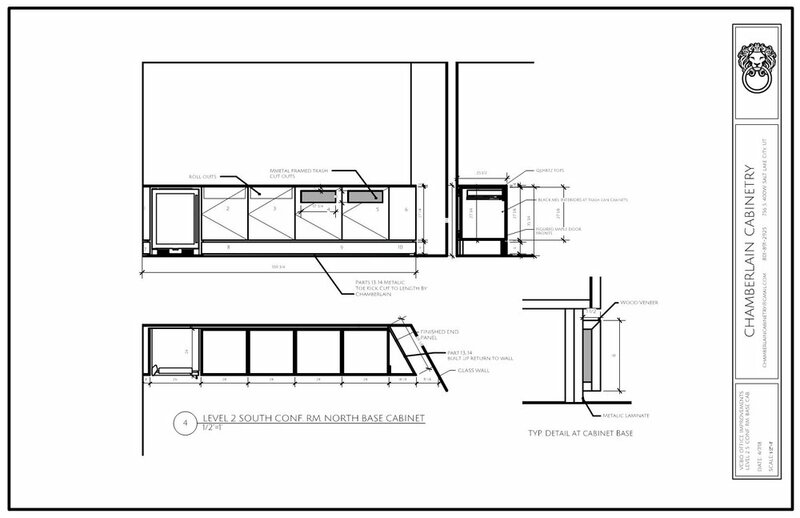 Accurate thoroughly detailed shop drawings are the road map to a successfully executed project. 10 years of professional experience has taught us how to organize and deliver plans which will get everyone involved in your project playing on the same page of music. Details become the design and pin pointing electrical fixture locations and plumbing valves will guarantee parts are installed right the first time. 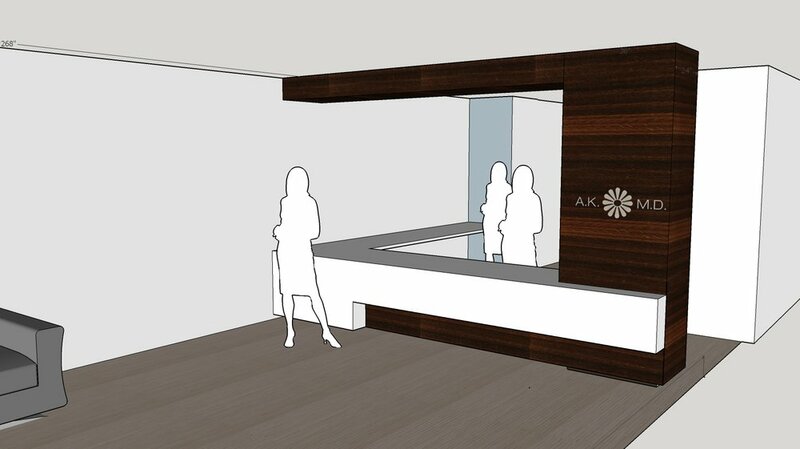 We offer hourly CAD drafting, design and basic rendering service specializing in modern design at $65/hr. 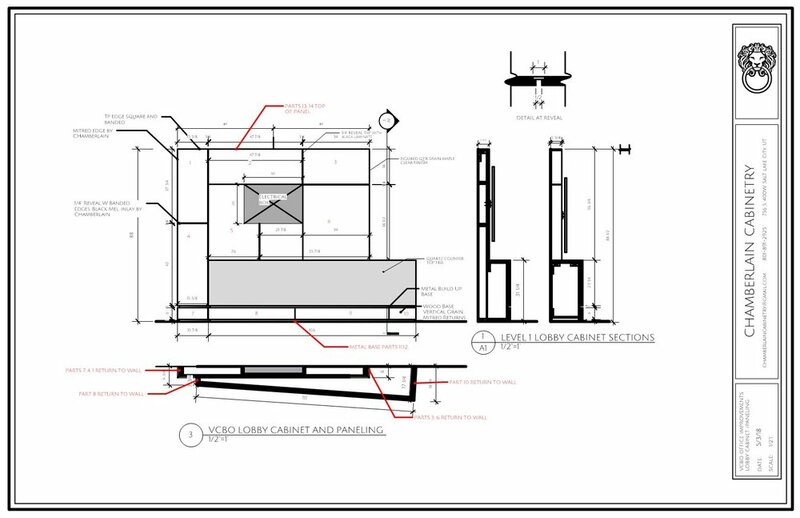 Visualizing your materials pallet through a 3 dimensional rendering will also assist in the overwhelming number of decisions associated with a remodel project and facilitate a clear budget and scope of work. 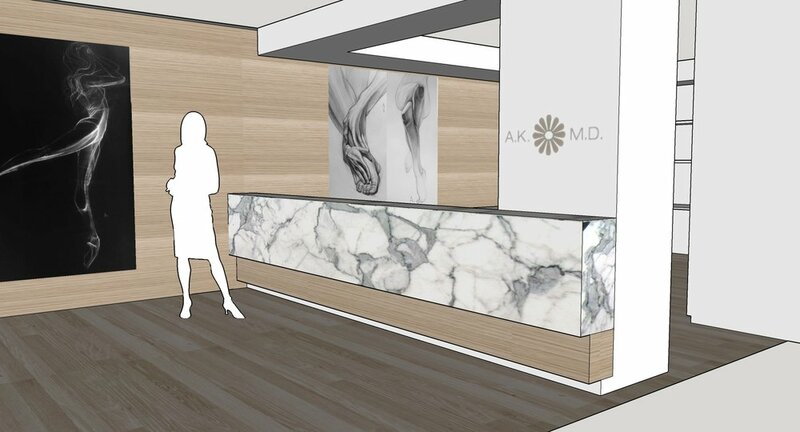 Whether it's tile sample a wood species detail or spacial planning we streamline the process by presenting accurate visual representations of what will be delivered and how your space will function. Limited scope general contracting services are also available with us. We will coordinate and organize the necessary sub-contracted services for your kitchen remodel (typically flooring, countertops, electrical, plumbing, paint and of course mill work.) and save you the headache that often times results from this aspect of the construction process even from a smaller scale project. This service is provided on a cost plus (20%) basis.